In Contact (Print And Packaging) Ltd v Travelers Insurance Co Ltd  EWHC 83 (TCC) His Honour Judge Stephen Davies (sitting as a High Court Judge) considered (and rejected) a claimant’s claim for damages for interruption to its business. It is an another example of a claimant failing to adduce evidence in support of a – substantial – claim for damages. The claimant brought an action against its own insurer for failing to indemnify it following the failure of a printing press. The claimant was successful on the issue of liability. A claim for property damage succeeded in full. A claim for business interruption totalling £434,139 was reduced to £18,900. The company had been sold and there were issues in relation to disclosure. The judge held that he would not draw adverse inferences in relation to liability and the property damages claim. However the situation was different in relation to the claim for interruption to business. I do however consider that the position is less impressive so far as the quantum of the business interruption claim is concerned. In particular Mr Smith was asked about Mr Harris, the finance director responsible for the print and packaging business at the time, who left the company recently but with whom Mr Smith was still in contact. It was clearly likely that he could have given relevant evidence about the detailed financial affairs of the company at that time, especially in circumstances where the claimant’s ability to give adequate disclosure of the relevant documentary records was so circumscribed. The same may be true about the then managing director Mr Mealyou. Although reference was also made to Mr Garsforth, the group finance director at the time, since Mr Smith said that he had since died his absence is not something about which the defendant can complain. Finally reference was made to Mr Walker who is the current financial director, in position since 2014, and who could clearly have been called to give evidence, however it is not immediately apparent what important evidence he could have given since he was not involved in 2013. The judge observed that the primary witness in support of the claim could not give first-hand knowledge of many aspects of the claim. This was to have a significant impact upon the claim for business interruption. The starting point is to ascertain the claim for loss of gross profit due to reduction in turnover before any adjustments are made for business trends, variations or special circumstances (“the required adjustments”). This is agreed between the experts as follows: standard turnover is calculated to be £4,839,778, the indemnity period turnover is taken to be £3,887,973, with the shortfall in turnover amounting to £951,805. The rate of gross profit is 38.04%, giving a reduction in turnover of account of a loss of gross profits of £362,034. The claimant’s primary position is that this is not only the starting point but also the end point because no required adjustments need to be made. The defendant’s primary position is that once the required adjustments are made it is apparent that there is no loss. Both accept that dependent on the factual findings to be made it may be that there is some valid claim but which is less than the starting point figure. The claimant suggested that an appropriate approach would be to adopt “a rough and ready discounting” of the total claim. I have already commented adversely on the inadequacies in the evidence produced by the claimant in relation to this element of the claim, both documentary and witness. In its closing submissions the claimant accepts that “the documentary evidence is thin, and that too little was preserved after the sale of the business in November 2015” but seeks to rely on Mr Smith’s evidence that a loss of business did in fact take place. That submission might have some force if it had been the case that Mr Smith had produced clear and detailed evidence supported, where appropriate, by witness evidence from others who could confirm the details, however that is far from the case here. It is clear that the claimant proceeded, both initially in terms of making the claim and subsequently in terms of pleading and advancing its claim, on the basis that all that it needed to establish was the accuracy of the primary basis of calculation and did not need to establish anything else. This is notwithstanding that as early as 22 May 2013 Mr Hill had specifically asked Mr Noel to convey to the claimant the importance of mitigating loss by overtime working and outsourcing and to advise him if there were any further developments in terms of meeting customer demand or otherwise. Given that the essence of the claimant’s case as now presented is that it was simply not possible to meet existing commitments through increasing overtime and that specific customers would not permit outsourcing and more generally would not place orders due to the concern about the claimant only being able to operate on one press, it is remarkable that: (a) there was no notification of any of this at the time, despite the clear terms of the email from Mr Hill; (b) there was no attempt to retain or to obtain evidence of the matters which are now relied upon, whether by contemporaneous documents or witness statements from those directly involved with dealing with customers or otherwise. Instead there is an almost complete absence of contemporaneous documentation to support the claimant’s case and the only witness evidence comes from Mr Smith who had no more than the broadest knowledge of events given that he was not involved in the day to day operations of the business at the time. In his principal witness statement in support of the claim the only substantive evidence given by Mr Smith in relation to the business interruption claim, other than to formally confirm the audited accounts for the y/e 31 December 2012, was in  where he stated, without giving any details, that: “Due to the specialised requirements of a number of our pharmaceutical packaging customers, the terms of many of these customer contracts prohibited us from outsourcing work to third parties which placed tremendous pressure on what capacity we had left. This also meant that a number of our customers moved their contracts away from us to alternative suppliers on their approved supply list”. It is clear that it was only once the expert forensic accountants had met that it became apparent to the claimant that there was a real issue which it needed to address in relation to the required adjustments. Whilst I appreciate that it may be said that this was not something which had been expressly pleaded by the defendant in its Defence nor the subject of witness evidence by the defendant nonetheless it is remarkable, given the clear evidence of the claimant’s accounts and the clear evidence of the claimant’s financial position before and after the failure, that the claimant did not anticipate the need to demonstrate that the whole of the loss was due to the failure rather than to other causes. It appears to me that the claimant simply assumed that all that it needed to do was to make the claim in accordance with the agreed formula and leave it to the defendant to take any point about required adjustments – presumably in the misconceived expectation that the defendant would simply accept it without question. As it transpired the defendant rejected the claim before any analysis or discussions had taken place as to quantum, so that the first time this issue raised its head was in the course of the expert discussions and subsequently. It was in those circumstances that the claimant sought and obtained permission to adduce further witness evidence and produced some further disclosure to address the matters raised by Mr Cameron-Williams in his report and in the joint statement. However the further witness evidence was limited to that provided in the second witness statement of Mr Smith which was wholly inadequate in a number of significant respects, as was the further disclosure which was provided. (1) The underlying business trends. In summary the defendant’s case was that the accounts and other information showed that the business turnover was in decline with no evidence of any specific decline due to the failure, whereas the claimant’s case was that the prior decline could be explained by specific factors and had in any event been turned around prior to the failure and that there was clear evidence of a specific dip in sales following the failure. (2) The available production capacity. In summary the defendant’s case was that the production data showed that there was always sufficient production capacity for the claimant to have fulfilled its orders using the remaining press, so that any dip in sales could not be explained by the loss of the Press and must have been caused by other factors, whereas the claimant’s case was that the remaining press had a limited utilisation capacity and that even if there was spare capacity the fact was that some important customers would not place orders once they knew of the loss of the Press and without the guarantee of a back-up press and/or the claimant would not accept orders in such circumstances anyway. (3) The position in relation to individual customers whose business the claimant said had been lost due to the failure of the Press. The defendant’s case was that on analysis there was no reliable evidence that any such loss was due to the failure of the Press whereas the claimant’s case was that there was sufficient reliable evidence to justify that conclusion being drawn. Both forensic accountants produced very substantial reports with appendices with a significant amount of detail produced. I hope that I will be forgiven for addressing this element of the case relatively briefly given that I have already had to consider both the issues of liability and the primary claim for the cost of replacement of the Press in some considerable detail and given that due to the time constraints to ensure that the whole case was completed within the trial period the time for oral evidence on these issues, both factual and expert, was limited to some 1½ days of court time. Before addressing these three issues I should refer to the notes of the meeting of 10 May 2013. I have already said – see paragraph  above – that I accept the reliability of the contemporaneous accounts produced by the defendant’s attendees insofar as they were contested by Mr Smith. Specifically I am satisfied that the claimant did say at the meeting that its expected turnover for the year was £5.5 million, down from the preceding year of £6 million, and that this was neither an “off the cuff” comment nor was it said on the basis that it already took into account an actual or anticipated decline in sales due to the loss of existing customers due to the loss of the Press. This is entirely consistent in my view with the fact that on 25 June 2013 the claimant’s finance director produced a revised forecast for the year showing forecast turnover of some £6M, which itself indicates that at this time the claimant did not believe that its turnover was being damaged by the lack of the Press. There is no documentary or other credible evidence to confirm that by 10 May 2013 the claimant already knew that it had already lost business to other suppliers as a result of the Press failure. Mr Cameron-Williams’ note records, I have no doubt accurately, that the claimant had not informed its customers of the failure and there is no evidence that the news had already leaked out. It must be remembered that this was still at the early stages, before Heidelberg had even prepared its formal report and before the claimant had entered into a contract for the replacement press. I am satisfied that the claimant would have wanted to keep this as quiet as possible whilst it was still deciding what to do and at a time when business was clearly still quiet and it still had a working press to satisfy existing orders. Although Mr Smith claimed in evidence that the revised £6M turnover replaced a previous forecast of some £7M, I am unable to accept this given that there is no contemporaneous evidence to confirm it and is inconsistent with such evidence as there is and nor was it even referred to in his witness statements. It is also apparent from the meeting notes and, indeed, makes perfect sense, that the claimant’s already implemented strategy in the face of declining turnover had been to cut staff levels by around one third in order to protect the gross profit level. It is also apparent that whilst the expectation was that the appointment of new sales staff was intended to win new business and hence increase turnover there is no evidence that this had already happened by the time of the incident (other than a reference in the typed minutes to the claimant having recently won a large contract for Christmas packaging from Marks & Spencer – about which there is no evidence from the claimant to the effect that this business did not materialise). To the contrary, it was said that the business had not yet picked up after Easter as it usually did. Although there was a vigorous debate in cross-examination of Mr Cameron-Williams as to whether the claimant had said, as had been recorded by Mr Cameron-Williams in his handwritten notes, that there were “no obvious green shoots” of recovery. I have no doubt that whether or not this precise phrase was used words to that effect were said and that this was entirely consistent with the claimant’s view at the time. I also have no doubt that the claimant did say, as is recorded, that it considered it could manage with just the one existing press for the next two months, relying on overtime if necessary. The claimant accepts, as it must given the audited accounts, that its business was in decline from well before the failure. Mr Cameron-Williams pointed to a number of items of evidence which show this. Mr Cameron-Williams relied upon the audited accounts from which it could be seen that in 2011 there was a decline in turnover from 2010, with the decline continuing in 2012 accompanied by a drop in margin. The decline and drop in margin continued into 2013, when turnover was marginally down from the £5.5 million envisaged in May 2013, but both the decline in turnover and drop in margin were reversed in 2014 before declining again in 2015. It was suggested to him in cross-examination that a substantial part of the loss of turnover from 2011 to 2012 was represented by the loss of one particular customer (known as Kimball) who contributed £920,000 to turnover in 2011. Whilst this is true it does not invalidate the overall analysis of decline, not least in the absence of new customers being found to replace lost customers such as Kimball. Mr Cameron-Williams also relied upon an analysis of sales values from 2008 to 2015 which show a downward trajectory. The claimant submitted that reliance should be placed on the facts that: (a) there was a dip in sales year on year from 2012 to 2013 followed by a resurgence in 2014; (b) within 2013 there is a particular dip in sales from April 2013 through to September 2013, which it seeks to attribute to the failure. However, in my view the slight additional dip in 2013 does not detract from the overall picture, particularly when the same pattern is evident in 2009-2011 and seeking to attribute this additional dip to the failure ignores the impact of the restructuring in 2012 in circumstances where two new sales managers had only recently been recruited. Moreover the dip in sales from April to September 2013 is explained by what was said at the May 2013 meeting about the business not having yet picked up after Easter as it usually did. In any event a dip in sales from April to September 2013 due to the non-availability of the Press is inconsistent with the production data figures, as referred to be below. Moreover the defendant complains, with good reason, about the absence of detailed monthly sales data. This is clearly information which would have assisted both forensic experts and the court and could and should have been retained and disclosed by the claimant. Insofar as the claimant is seeking to persuade the court to rely on its high level sales data instead I am satisfied that I should exercise appropriate caution before doing so in the absence of proper disclosure and data as to the orders placed, the orders accepted and the breakdown of sales achieved month by month over this period. The claimant submitted that the steps taken to re-structure the business before the failure would have succeeded in restoring the company’s fortunes but for the failure of the Press. The difficulty with this submission is that there is no evidence to support it and evidence to contradict it. The first point is that even though the replacement Press was installed and operational in November 2013 the fortunes of the company did not recover as might have been expected if the re-structure had achieved its objective. Insofar as the claimant argues that the success of the re-structure was hamstrung by the loss of business due to the loss of capacity due to the failure, the difficulty is that there is simply no evidence that identified significant customers stopped placing orders due to the non-availability of both presses and then did not return to the fold after the replacement press was installed. 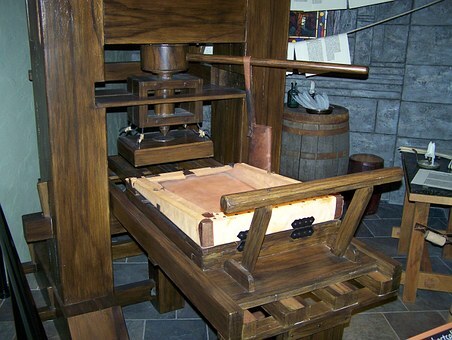 The claimant seeks to rely on a statement in the 2013 accounts to the “anticipated benefits of the new printing press not being achieved as quickly as planned” but that in my view does not meet the objection that there is no hard evidence both of losses due to the failure and an ability to regain the business even after the replacement. In short, I am satisfied that there is plentiful evidence of a long term decline in the fortunes of the company which continued before, during and after the failure and the period of only one press, and which must, on any view, be regarded as an underlying business trend which required an adjustment to be made. Although there was a detailed debate about production capacity between the forensic experts which was fully debated in cross-examination the defendant makes what in my judgment is an unanswerable point which establishes its case, which is that the relevant production data shows that after the failure the claimant was able to increase the utilisation capacity to over 60% and was also able when necessary, in May 2013 and again in September and October 2013, to increase the total production to over 1 million runs per month. Even after the replacement press was brought into operation in November 2013 the total production runs did not rise above significantly above that achieved using just the one press until January 2014. As the defendant observed in its closing submissions, what this clearly showed is that when the claimant needed to increase both its utilisation capacity and the total production runs it was able to do so even without the second press. Mr Smith was unable to provide any alternative explanation when asked about this in cross-examination and there is no documentary or other witness evidence which indicates that the lack of production capacity prevented the claimant from accepting or performing orders which it would otherwise have been able to perform but for the failure. To the contrary, this evidence is clearly consistent with the evidence that the claimant was able to increase production capacity as and when necessary by working overtime, as indeed it had said that it would be able to do in the May 2013 meeting. Although Mr Smith sought to give evidence that there were limits on the amount of overtime which could be worked due to the reluctance of staff to work overtime notwithstanding the enhanced pay on offer, there is no contemporaneous evidence to this effect and, frankly, it beggars belief that staff, who Mr Smith emphasised tended to be longstanding employees, would refuse to work overtime for additional pay and to ensure the survival of the company in what was clearly a difficult economic climate for the company. If that really had been the case, and the claimant really was turning away valuable orders and losing valuable customers as a result, it is inconceivable that the claimant would not – as specifically requested – have notified Mr Hill that this was the case at the time. Instead the evidence is that the claimant has only made a claim for one weekend overtime working which, in my judgment, eloquently speaks to the fact that the claimant was able to maintain production capacity without the need even to undertake additional operating hours. Three substantial customers of the claimant were Vions, Typhoo and Victoria respectively, analysed by Mr Cameron-Williams in his report and the subject of scrutiny at trial. Vion was the most substantial customer by turnover in 2012, but turnover dropped significantly from 2012 to 2013 and again in 2014 before ceasing entirely. Although this appeared at first blush promising to the claimant’s case in fact it became clear that the loss of business was due entirely to the loss of business at a site in Broxburn, the closure of which was announced in October 2012 and, thus, had nothing to do with the failure. Mr Smith had not referred to Vion at all even in his second witness statement. In an attempt to argue around this the claimant pointed to evidence of sales to two other Vion sites and argued that but for the reputational problems due to the failure of the Press it would have gained the business from the production which was transferred to the other sites. The difficulty with this argument, which is supported only by evidence given for the first time by Mr Smith in cross-examination and upon which I do not feel able to place any real weight, is that there is no evidence to support it. Indeed the evidence that is available shows that the claimant was only securing relatively modest turnover from those other sites before this time so that there is no obvious reason why the claimant should have believed that it had a reasonable commercial expectation of securing such work as may have been transferred to those other sites anyway. Moreover, Mr Cameron-Williams was able to point to the absence of any evidence of a pick-up in sales to those other sites in the first part of 2013. The simple fact is, in my judgment, that the claimant has wholly failed to show that the loss of this business had anything to do with the failure of the Press. Sales to Typhoo and to Victoria Foods had dropped from 2011 to 2012 and virtually ceased in 2013 before ceasing completely after that. It is evident from the figures that the cessation of sales had nothing whatsoever to do with the Press failure in circumstances where the claimant has been unable to prove that there was some particular explanation (such as seasonality of orders) which would explain why there were effectively no sales to Typhoo or to Victoria Foods in the first 3 months of 2013. It is quite clear in my judgment that the loss of these major customers was precisely what the claimant was referring to in the May 2013 meeting. Attached to his second witness statement was what Mr Smith described as a record of customer work which the claimant quoted for between March and May 2013 but failed to win. It was simply a list of quotations, stating the date, estimate number, customer, volume and quoted price. In cross-examination he accepted that the claimant had failed to produce any underlying documentation to back up this list. He said that the customers were existing clients of the claimant and that the claimant would have expected to win the work. However he accepted, as he had to, that the claimant would not always succeed in obtaining every job it quoted for. He referred to one such customer known as Tulip and claimed that it “was a significant customer account, which we shared with one other supplier. Following the incident, the full account was transferred to the other supplier, as we were unable to guarantee that we would be able to satisfy their delivery demands. The value of work that we had quoted for between March and May 2013 with a reasonable expectation of success was in the region of £470,000”. The immediate difficulty with this account is that all of the Tulip quotations are dated 27 March 2013. In the absence of any hard evidence as to what happened to those quotations, whether they were accepted but then cancelled, if the latter on whose initiative and on what basis, and in circumstances where – as I have already said – there is simply no evidential basis from the production data that the claimant could not have undertaken this work, I am unable to accept this as evidence that these specific jobs from this specific customer was lost as a result of the failure. Under cross-examination Mr Smith’s evidence seemed to veer from suggesting that it was Tulip who declined to place the work because they had become aware of the failure to suggesting that it was the claimant’s decision not to accept the work because it was worried about there being insufficient capacity to satisfy orders. This illustrates that Mr Smith simply had no direct knowledge of any of this and was seeking to put forward the claimant’s case as best he could but with no real knowledge and no documents to rely upon. He also referred to another customer known as Walkers and claimed that this “was another long-standing account which the Claimant shared with Benson Box. Under usual circumstances we would have been awarded the quoted work listed which totalled in excess of £300,000. However, due to our inability to meet the lead times required by Walkers because of the incident this work was placed with Benson Box instead”. Again there was a complete absence of documentary evidence to support this contention in circumstances where some of the quotations dated from 4 March 2013 and others, dating from 23 May 2013, were individually small. It seems extremely unlikely to me in the absence of cogent evidence, especially in circumstances where customers would normally want the product manufactured and supplied as soon as possible, that quotations placed in early March 2013 could not have been accepted and the work done before the failure. It also seems extremely unlikely to me, if the claimant’s case be right, that the claimant would either have quoted in late May 2013 if it did not believe it could do the work or that it could not have undertaken these relatively small contracts anyway. Finally he referred to “numerous other customer accounts which were transferred away from us, either temporarily or permanently because of the incident with the Press. The customers in question included Rivingtons, Potted Fish, SP Containers, The Hain Group, Goldenfry, Wholebake, Aimia Foods, Authentic Foods, Stampiton. DS Smith and Macsween”. These were again merely other customers identified in the list referred to and this evidence suffered from precisely the same general objections as in relation to Tulip and Walkers. Mr Cameron-Williams considered these other customers in his report at [2.33] and it is apparent from his evidence, which I accept, that there were only two such customers, Hain and Rivington, where the evidence might even begin to support a case that there had been a change in 2013 which could even arguably be attributable to the failure, but where even there the evidence adduced by the claimant is insufficient to establish a causal connection on the balance of probabilities. I have no doubt but that the claimant has failed to establish any of this claim. The evidence shows that: (a) the business was in long term decline for reasons which had nothing to do with the failure of the Press; (b) there is no reliable evidence of a dip in production or sales in the period in which the claimant was limited to only one press; (c) there is no reliable evidence of any loss of individual customers due to the failure or the consequences of that failure, whether in reality or in customer perception or in the claimant’s approach. The claimant’s evidence in support of this claim is hopelessly inadequate given that Mr Smith was not a reliable witness on this aspect of the case and given the complete absence of other evidence from witnesses who could have spoken to the consequences in terms of production and sales and the complete absence of the documentary evidence which could and should have been preserved and disclosed. This is a claim for the increased costs of working where there was little if any dispute between the forensic experts. They agreed that costs consequential on the purchase of the replacement press could be recovered as increased costs of working if the purchase of that press was a reasonable mitigating action, which I have already held that it was. The issue here is really the adequacy of the evidence to support the claim. Mr Noel’s witness statement simply verified the claim without providing any actual explanation or evidence, not surprisingly since he had no direct knowledge of these expenses and did not himself claim that he had been involved in the ascertainment of this claim. Mr Donaldson had considered this element of the claim and provided a reasonably detailed explanation, based on his discussions with who he described as “the Contact Management Team” as well as with Mr Noel and by reference to some supporting documents. Mr Cameron-Williams did not consider these claims in any detail in his report but suggested that it needed to be established that these were genuinely additional costs as opposed to costs which would have been incurred anyway even if the Press itself had not failed. That is clearly correct. Having looked at Mr Donaldson’s explanations in that regard in my view the only item which can clearly be seen to have been established by clear and convincing evidence to have been incurred and to have been genuinely additional is the first item, which I allow in full in the sum of £18,900, whereas the others are not supported by sufficient convincing evidence, especially where the source of that evidence, insofar as it apparently emanates from the claimant’s “management team”, is not specifically identified.